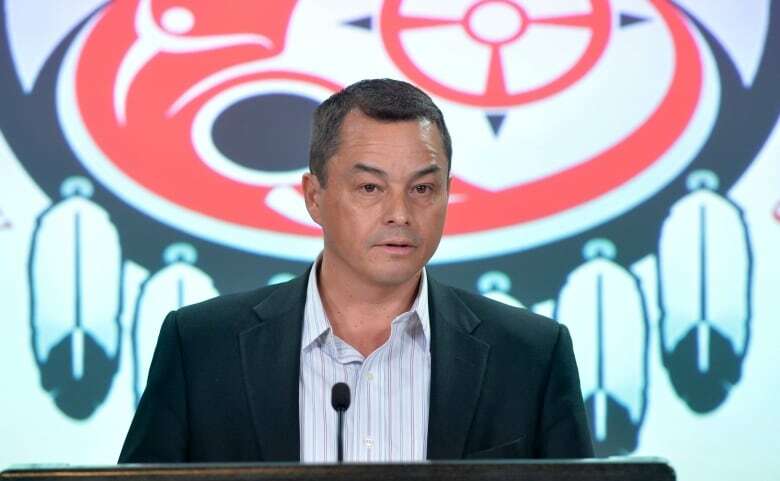 Shawn Atleo has quit as national chief of the Assembly of First Nations amid rancour over the federal government's proposed overhaul of aboriginal education. Atleo made the surprise announcement at a news conference in Ottawa Friday. The Harper government's First Nations education bill has divided aboriginal chiefs, and Atleo had faced calls for his ouster on social media this week and criticism from some regional chiefs over his support for the overhaul. He said Friday he was no longer willing to be a "lightning rod" for criticism of the bill. “I have stated clear priority on the recognition of treaty, of indigenous rights and title, on the safety and security of our most vulnerable, and I have also made my priority on education for our kids plainly clear," Atleo said, reading from prepared remarks. "The current proposal on education is the latest attempt and a sincere, constructive effort on the part of Prime Minister Stephen Harper to take a step forward. "I have fought for this work and to achieve this mandate. This work is too important and I am not prepared to be an obstacle to it or a lightning rod distracting from the kids and their potential. I am therefore, today resigning as national chief," Atleo said. The prime minister issued a statement late Friday to say he was "saddened" by Atleo's decision. "Since 2009, when he was first elected as national chief, our government worked closely with him to strengthen our historic relationship," Harper said in the statement. “Together, we helped improve opportunities for greater participation by First Nations in the economy and standards of living and quality of life on reserve, including through the Crown-First Nations Gathering in 2012. We also shared a commitment to improving First Nation education and ensuring that students on reserve have the same education standards, supports and opportunities that most Canadians take for granted. “National Chief Atleo was a conciliator and strengthened the relationship between First Nations and the Crown. As the Hereditary Chief from the Ahousaht First Nation, he showed leadership to his nation and all First Nations across Canada," Harper said. Atleo was elected to a second term as national chief less than two years ago. He scored a third ballot victory in the June 2012 vote, receiving 341 votes out of 512 cast by First Nations leaders from across the country. That put him far ahead of his closest competitor — Mi'kmaq lawyer Pamela Palmater of Ontario, who got 141 votes. The third candidate in the race, Dene Chief Bill Erasmus from the Northwest Territories, received 30 votes. Since then, Palmater has continued to be a vocal critic of Atleo and was one of those calling for him to go this week. "I'm not looking for his job," she said told CBC News this week. "Now individual chiefs are making the same call, but I'm making that call because Shawn Atleo has stopped defending our rights." Palmater is one of many who are convinced the proposed First Nations control of First Nations education act is fatally flawed. She has said it gives too much control to the minister of aboriginal affairs, doesn't protect treaty rights and the money attached falls far short of what is needed to make a difference for First Nations children.